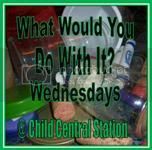 Wanted: What Would You Do With It Wednesday Guest Posts! If you haven't noticed, I've been on a hiatus from my regular Wednesday postings. I've been contemplating whether or not to keep the series going. Time is a major issue in doing so, but I LOVE to upcycle, repurpose, and reuse items in creative ways. So, rather than get rid of my Wednesday linky party completely, I am going to ask you all for some help. Do you have a great idea that uses recyclables or "trash"? I would love to have you share your ideas on my blog! * It must be family friendly. * At least one photo (preferably more) must be used. All photographs MUST be photos that you, yourself have taken. *The post may include some background information about you, your blog/website, etc. BUT the primary focus must be on the project or challenge. By primary, I mean at least 2/3 of the post. 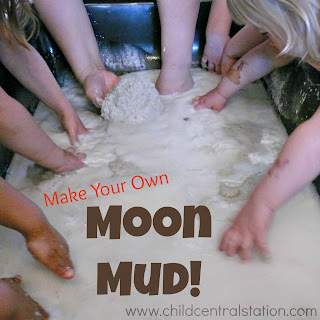 *The project must be something that would be developmentally appropriate for a young child to do OR use. They do not necessarily have to be able to complete the project, but they would have to be able to use the product in some way. If you have any other questions, please feel free to contact me via email: amyahola@hotmail.com. For those of you who are not interested in guest posting, but are awaiting the return of the ideas. This series will start back up in September!